Learn techniques to help with the challenging task of making data between microservices eventually consistent. In microservices, one logically atomic operation can frequently span multiple microservices. 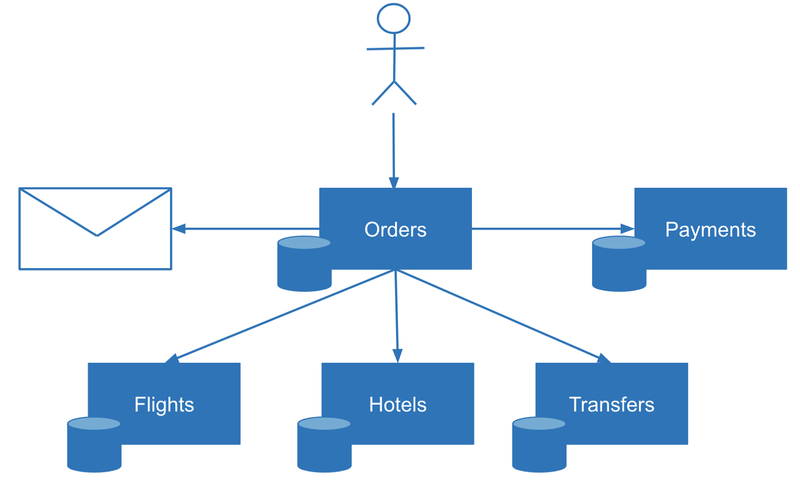 Even a monolithic system might use multiple databases or messaging solutions. 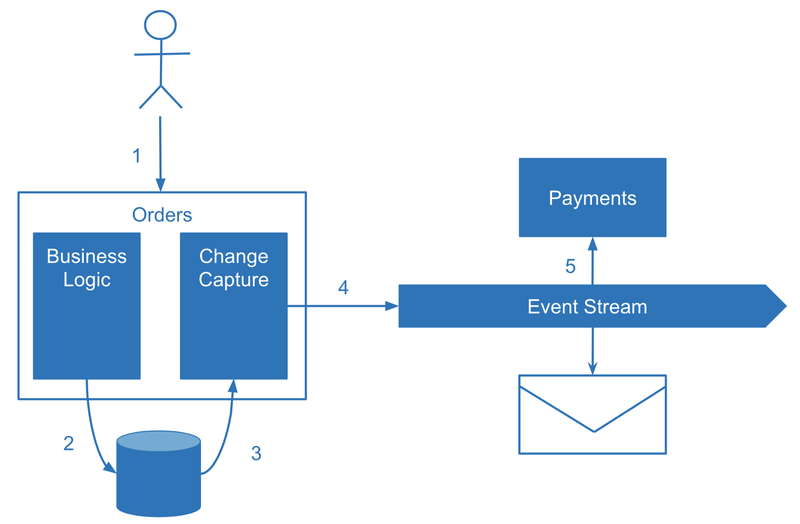 With several independent data storage solutions, we risk inconsistent data if one of the distributed process participants fails — such as charging a customer without placing the order or not notifying the customer that the order succeeded. 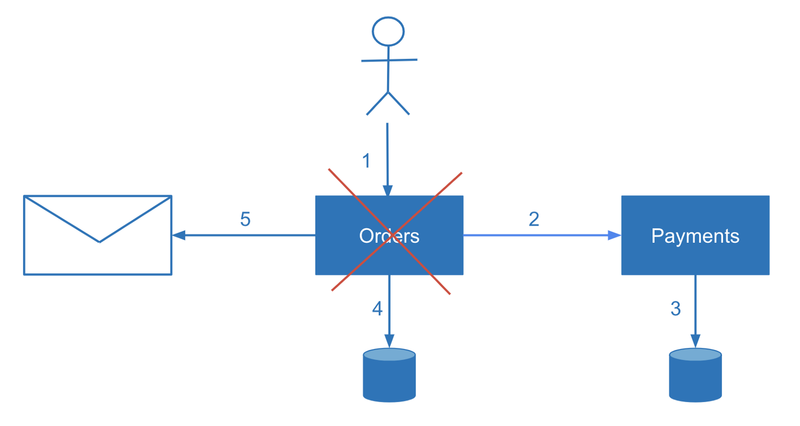 In this article, I’d like to share some of the techniques I’ve learned for making data between microservices eventually consistent. Why is it so challenging to achieve this? As long as we have multiple places where the data is stored (which are not in a single database), consistency is not solved automatically and engineers need to take care of consistency while designing the system. 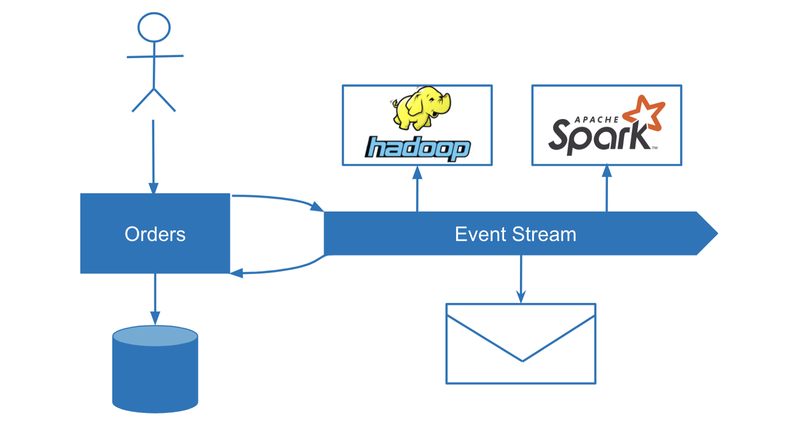 For now, in my opinion, the industry doesn’t yet have a widely known solution for updating data atomically in multiple different data sources — and we probably shouldn’t wait for one to be available soon. One attempt to solve this problem in an automated and hassle-free manner is the XA protocol implementing the two-phase commit (2PC) pattern. But in modern high-scale applications (especially in a cloud environment), 2PC doesn’t seem to perform so well. To eliminate the disadvantages of 2PC, we have to trade ACID for BASE and cover consistency concerns ourselves in different ways depending on the requirements. The most well-known way of handling consistency concerns in multiple microservices is the Saga Pattern. 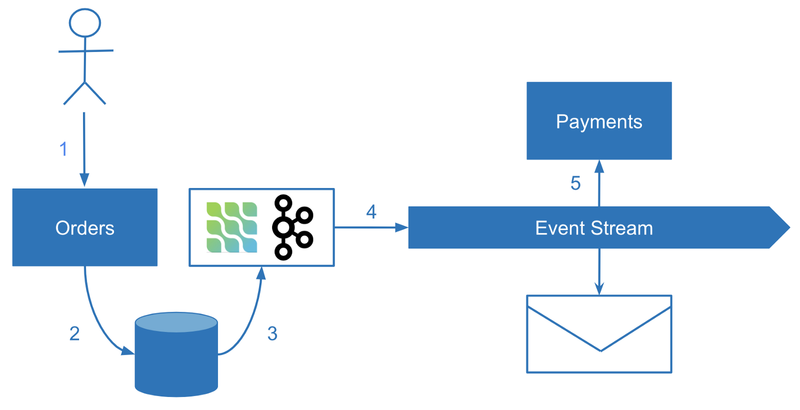 You may treat Sagas as application-level distributed coordination of multiple transactions. Depending on the use-case and requirements, you optimize your own Saga implementation. In contrast, the XA protocol tries to cover all the scenarios. The Saga Pattern is also not new. It was known and used in ESB and SOA architectures in the past. Finally, it successfully transitioned to the microservices world. 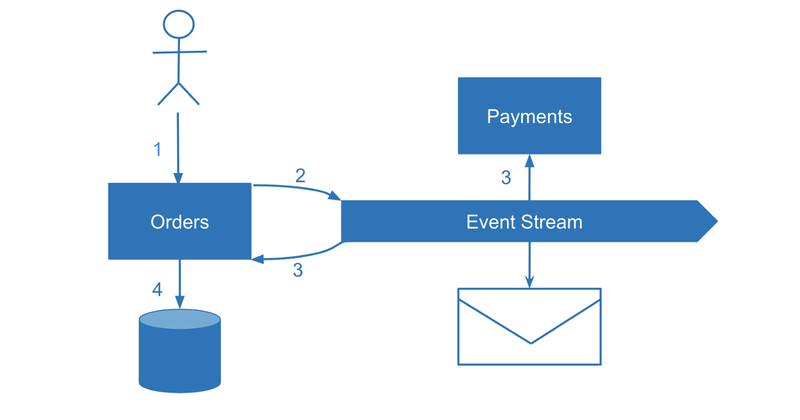 Each atomic business operation that spans multiple services might consist of multiple transactions on a technical level. The key idea of the Saga Pattern is to be able to roll back one of the individual transactions. As we know, rollback is not possible for already committed individual transactions out of the box. But this is achieved by invoking a compensation action — by introducing a “Cancel” operation. In addition to cancelation, you should consider making your service idempotent, so you can retry or restart certain operations in case of failures. Failures should be monitored and reaction to failures should be proactive. What if in the middle of the process the system responsible for calling a compensation action crashes or restarts. In this case, the user may receive an error message and the compensation logic should be triggered or — when processing asynchronous user requests, the execution logic should be resumed. To find crashed transactions and resume operation or apply compensation, we need to reconcile data from multiple services. Reconciliation is a technique familiar to engineers who have worked in the financial domain. Did you ever wonder how banks make sure your money transfer didn’t get lost or how money transfer happens between two different banks in general? The quick answer is reconciliation. 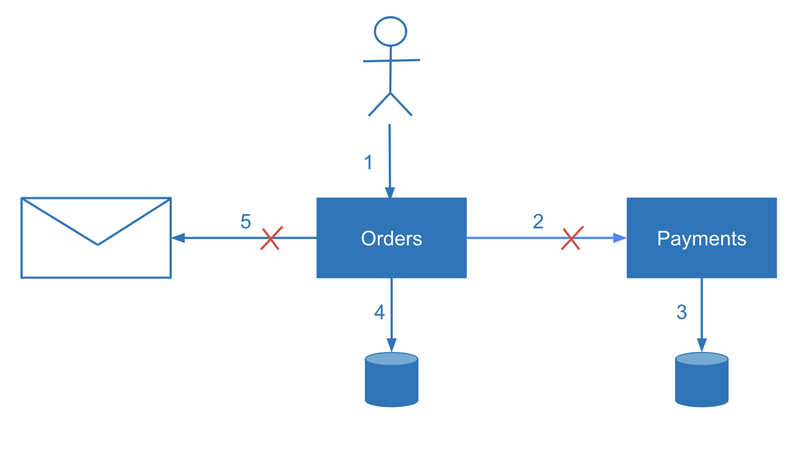 Coming back to microservices, using the same principle we can reconcile data from multiple services on some action trigger. Actions could be triggered on a scheduled basis or by a monitoring system when failure is detected. The simplest approach is to run a record-by-record comparison. This process could be optimized by comparing aggregated values. In this case, one of the systems will be a source of truth for each record. 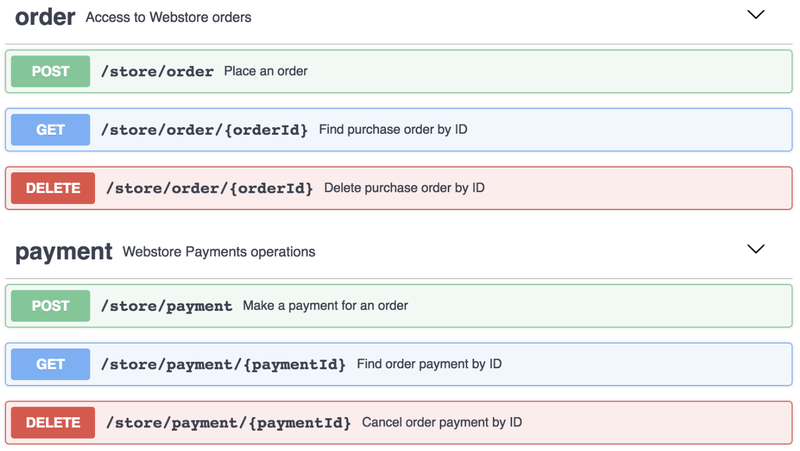 Imagine multistep transactions. How to determine during reconciliation which transactions might have failed and which steps have failed? One solution is to check the status of each transaction. In some cases, this functionality is not available (imagine a stateless mail service that sends email or produces other kinds of messages). In some other cases, you might want to get immediate visibility on the transaction state, especially in complex scenarios with many steps. For example, a multistep order with booking flights, hotels, and transfers. In these situations, an event log can help. Logging is a simple but powerful technique. Many distributed systems rely on logs. “Write-ahead logging” is how databases achieve transactional behavior or maintain consistency between replicas internally. The same technique could be applied to microservices design. Before making an actual data change, the service writes a log entry about its intent to make a change. In practice, the event log could be a table or a collection inside a database owned by the coordinating service.